These are the first Rose blooms on the year. My mom says they are White Bank Roses. 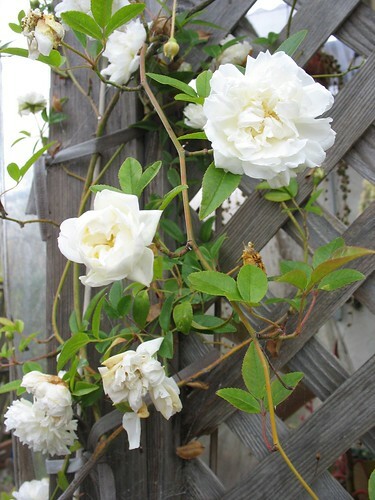 They are probably 'White Lady Banks Rose".